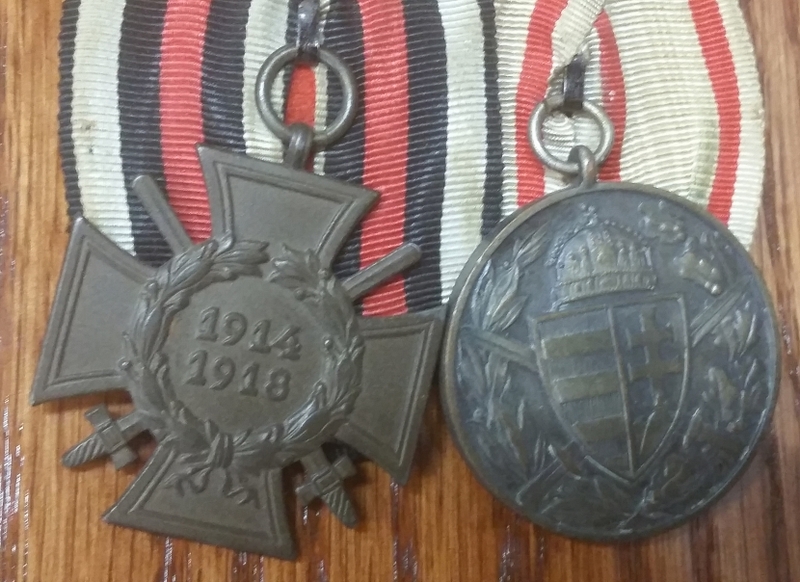 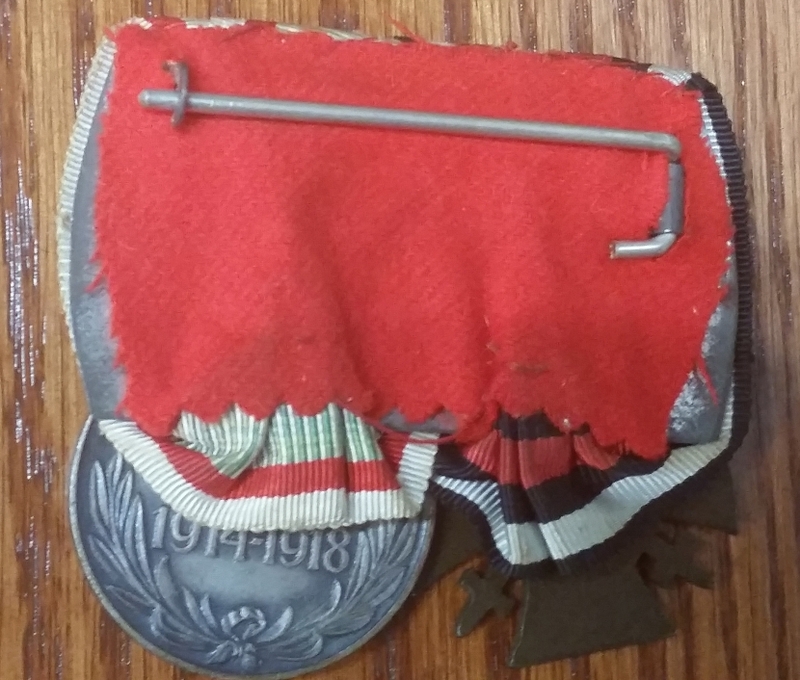 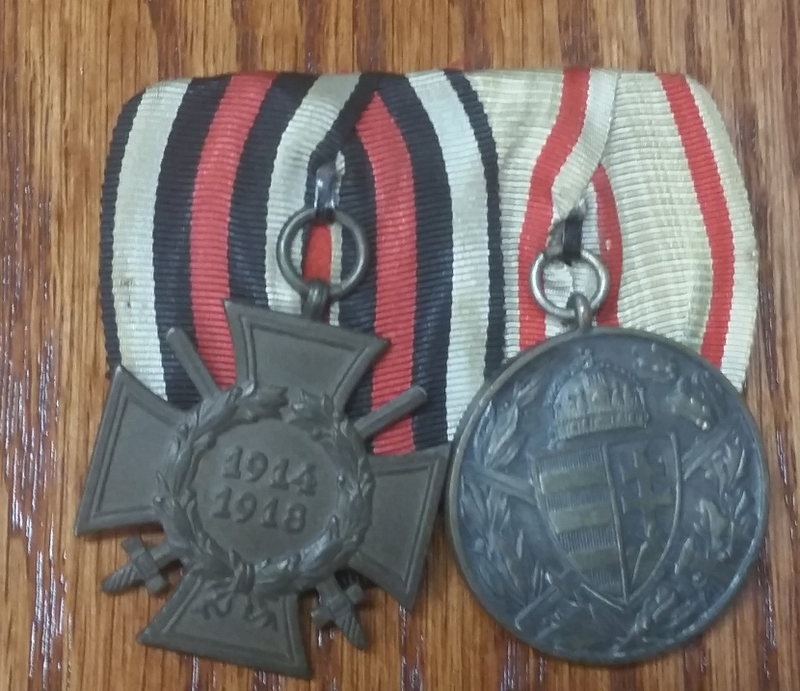 This is a nice set of a WWI German Hindenburg Cross and a Hungarian Commemorative medal for combatants from WWI. 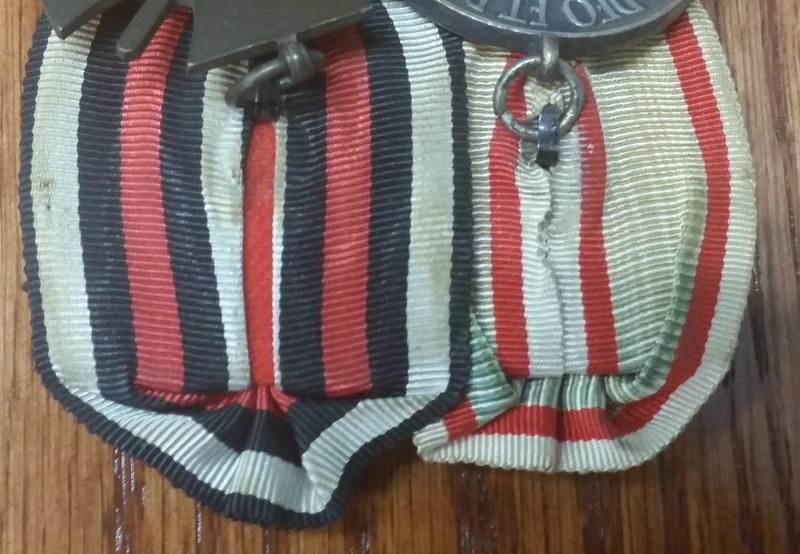 The ribbons show a fair amount of fading but are in otherwise good condition. 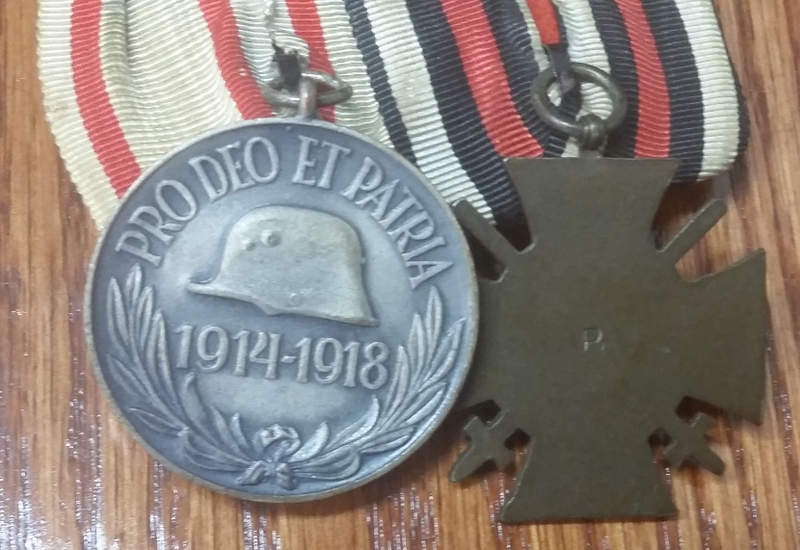 The medals are excellent with only minor wear.